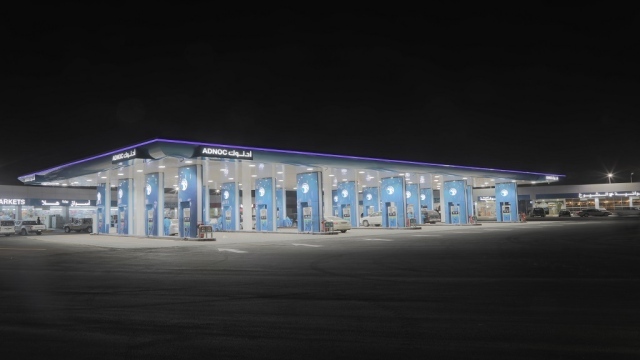 ADNOC Distribution, the UAE's leading fuel and retail company, has announced the launch of its two new service stations this week, one near Riyadh and the other in the Eastern Province. ADNOC Distribution, the leading fuel and retail company in the UAE, has announced the launch of its two new service stations this week, one near Riyadh and the other in the Eastern Province. Announced its commitment during the initial offering of its shares in December 2017 to grow and expand its business not only in the UAE but also in the world. The company is currently considering a number of options for growth and expansion of its operations internationally. The first service station is located on the Riyadh-Dammam highway, about 40 km from the capital Riyadh, while the second stop is in Hofuf city in Al-Ahsa governorate. The two plants have undergone extensive reconstruction to bring them in line with ADNOC's operating standards, rules and requirements. In addition, customers will enjoy the same level of service as the company's service stations in the UAE. "The inauguration of these two new plants in Saudi Arabia is a milestone in the history of ADNOC Distribution as our first step towards the growth and expansion of our operations internationally," said Saeed Mubarak Al Rashidi, Acting CEO of ADNOC Distribution. The inauguration of the two stations marks the beginning of a new stage in the company's journey to achieve its objectives and the opening of the two stations in the Kingdom is of great importance to enable us to communicate directly with the Saudi consumer with the possibility of providing special services for this market. We are confident that our brand, service level and approach to business ethics will contribute to strengthening our position in the retail and refueling sector in the Kingdom, and we hope that it will contribute Our entry into the Saudi market in strengthening the trade and cultural ties between the two brotherly countries. " Since its IPO in December 2017, ADNOC Distribution has continued to achieve impressive growth rates, with strong financial results for the first, second and third quarters of 2018. The company has made progress in a number of initiatives to support its fuel growth strategy and other areas, , As well as focus on expanding its presence locally and regionally.